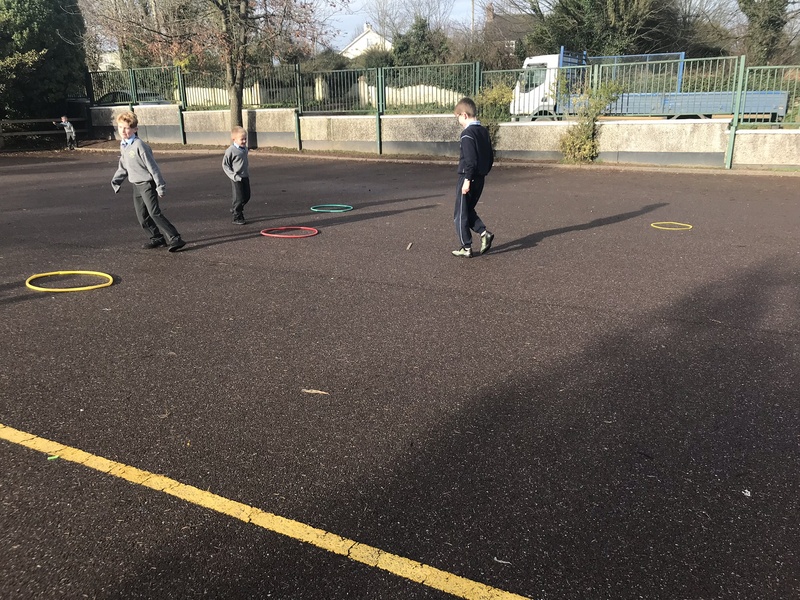 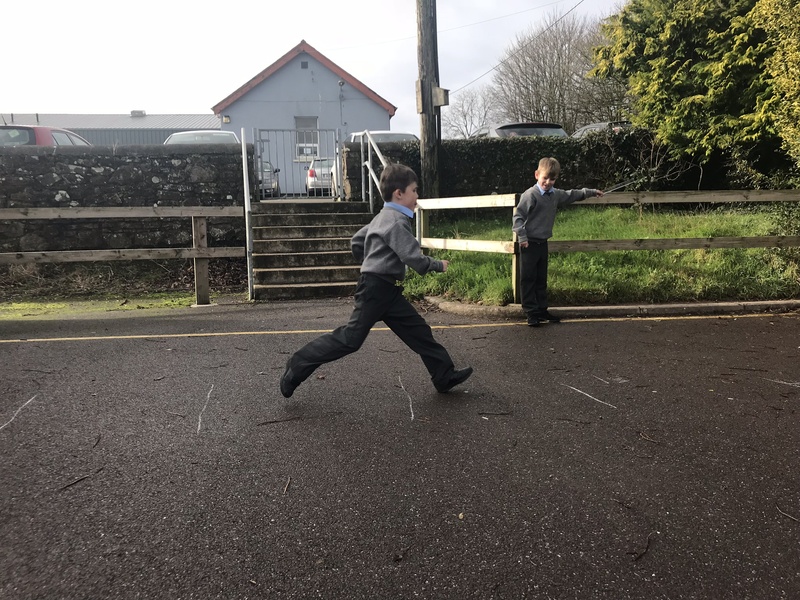 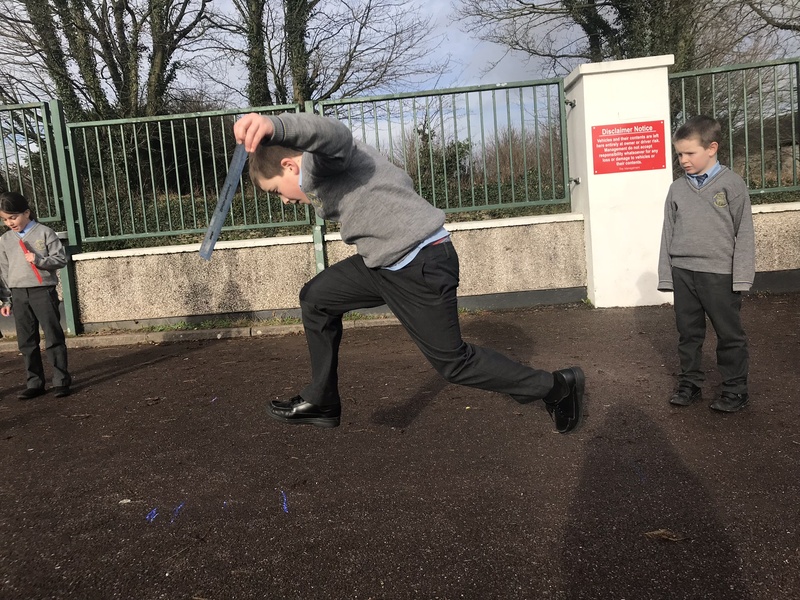 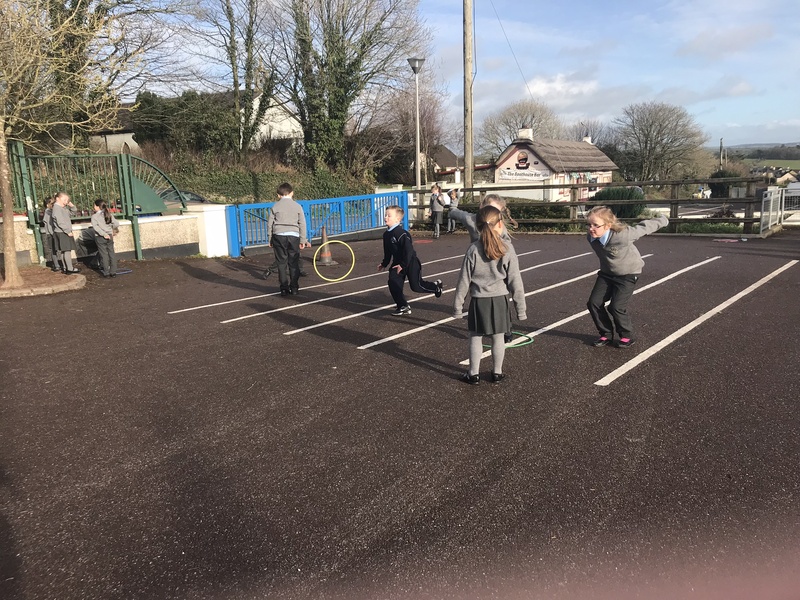 On the 23rd of November, Mrs. Carney’s Senior Infants teamed up with Ms. Flanagan’s Third class for an athletics lesson. 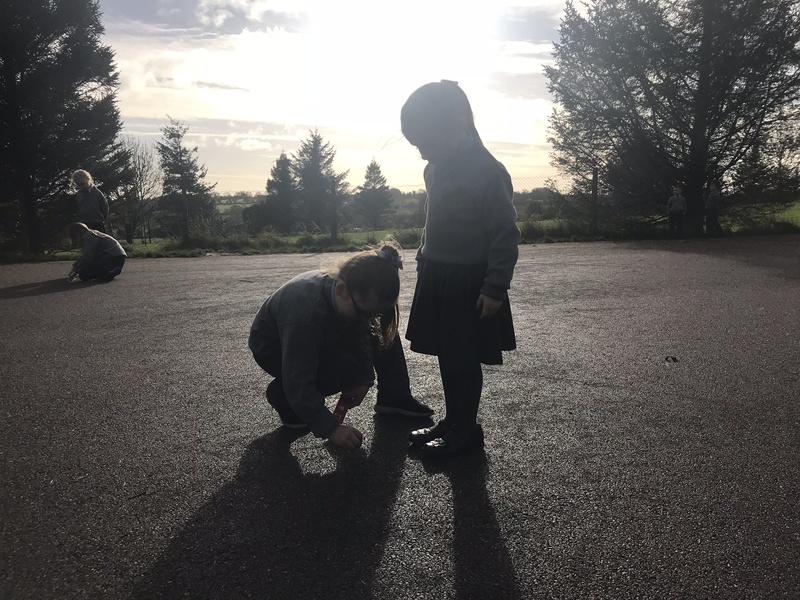 Each Senior Infant partnered with a child from Third Class. 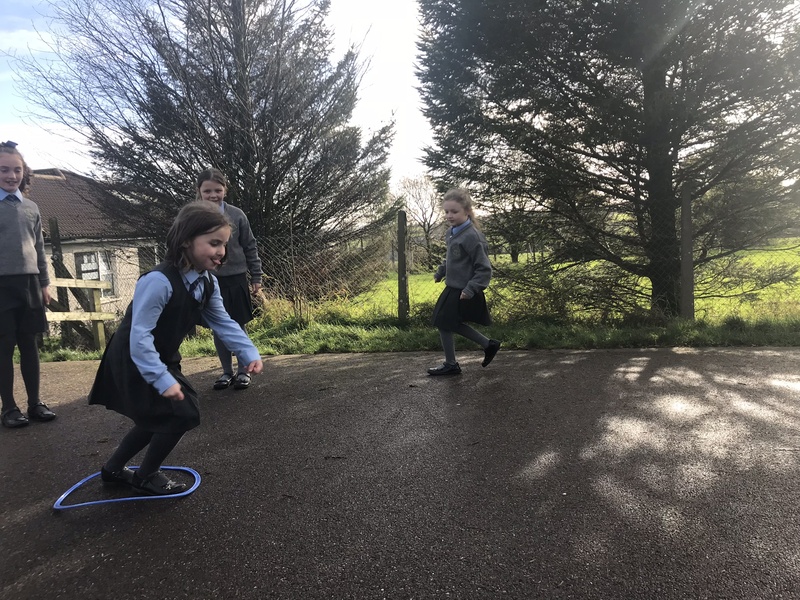 For the warm up, the children took turns to choose an activity that would get them and their partners moving. 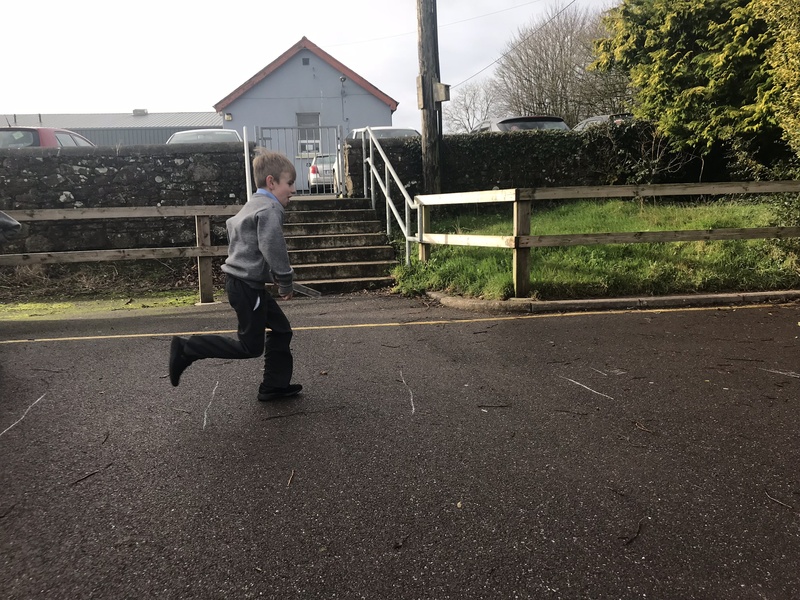 Children were hopping, skipping and jumping all over the yard. 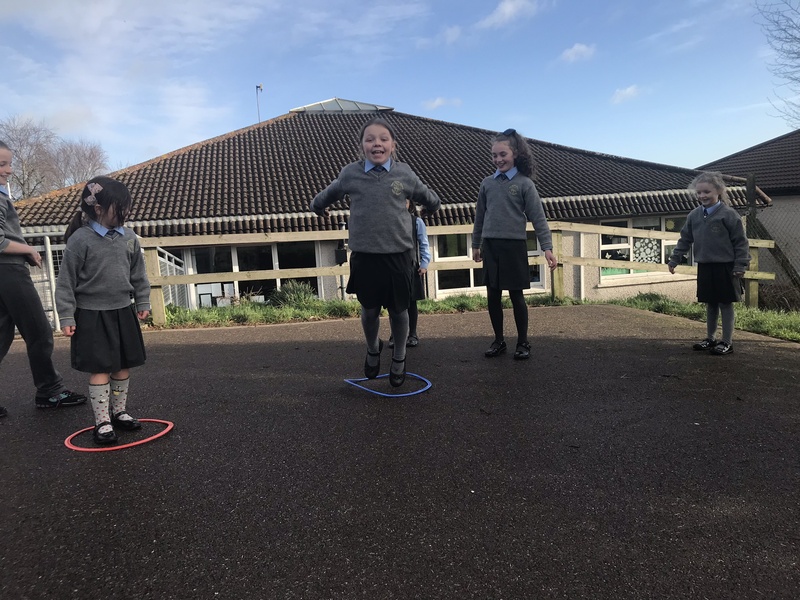 Third class then taught Senior Infants three different ways of jumping and they practised these using the hula hoops. 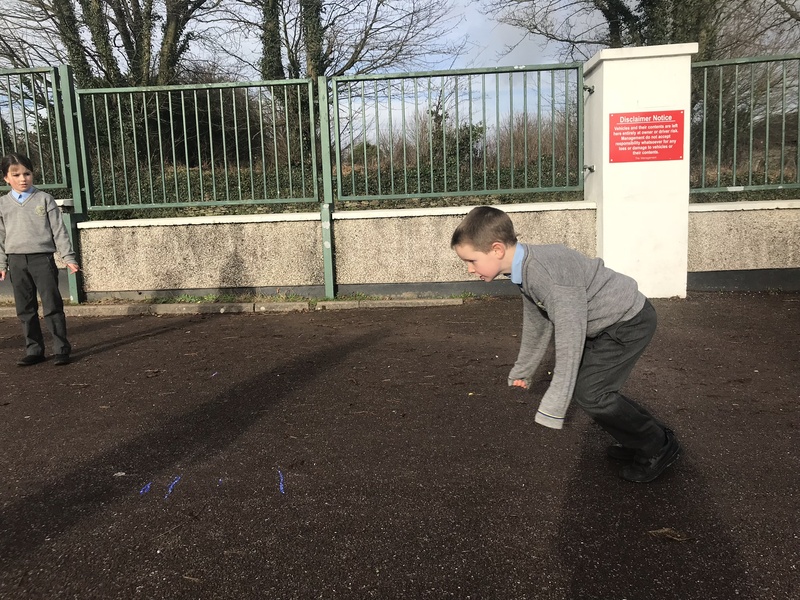 The children in Senior Infants also came up with some ideas of their own. 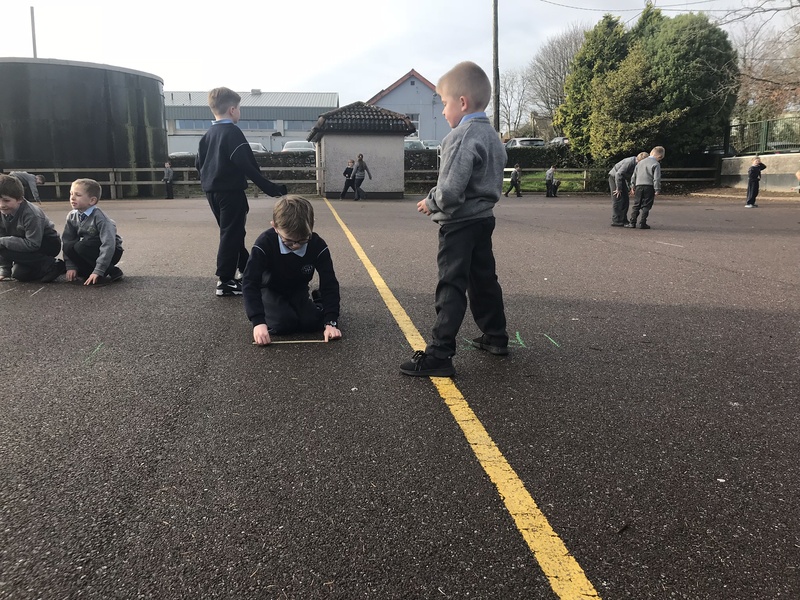 Next it was time for a challenge. 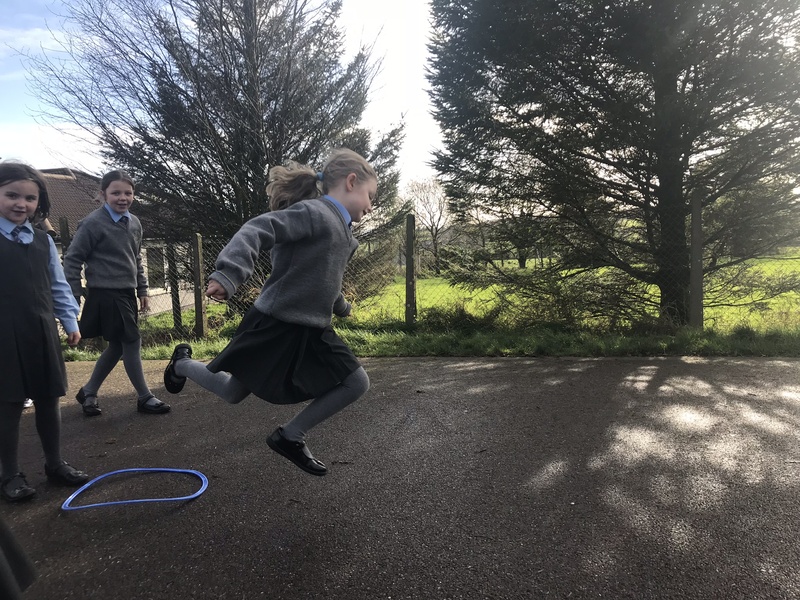 The children jumped as far as they could while their partners encouraged them and measured their jumps. 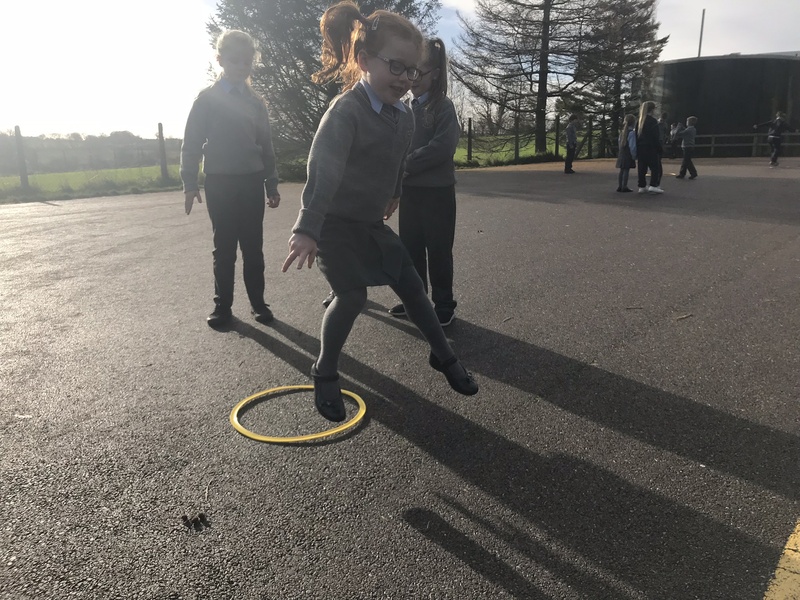 Some records were definitely broken! 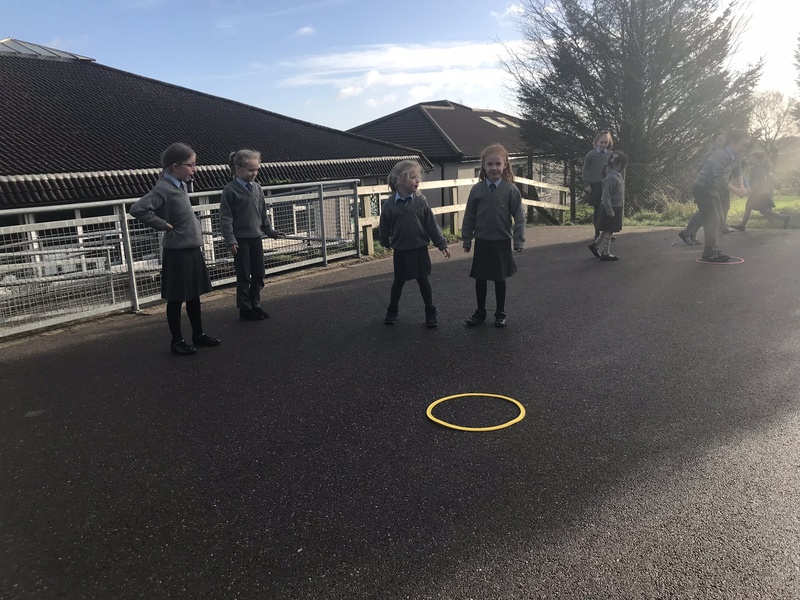 See pictures of all the fun below.